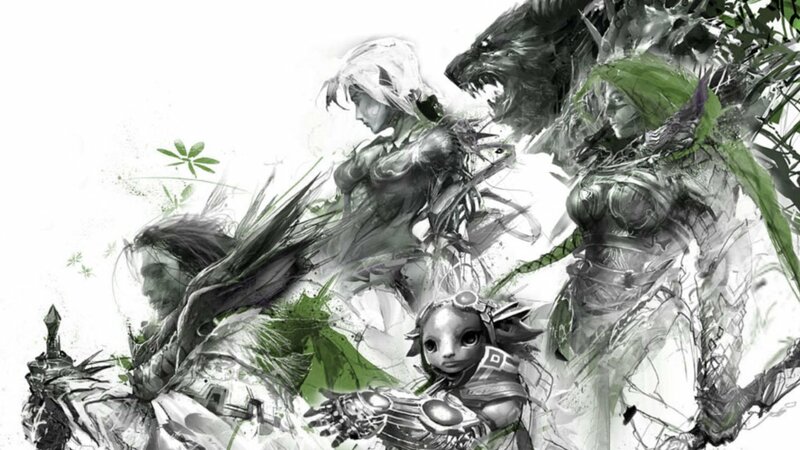 Guild Wars 2 facilitated a sense of wonder and exploration that drew me in when I first bought it three years ago. The great, chilly mountains and perpetual autumns of Ascalon drew me in, exploring and waging war with a variety of monsters and factions. Jumping puzzles, chains of events players could all participate in, and a series of Easter eggs and vistas to explore left us with an amazing experience. Updates abounded over the last three years, with two seasons of world events that left scars on the world map, and opened up two new, intricate areas for exploration, complete with over-arching meta-events. I got back into the game recently after a long hiatus, and was largely impressed with the Silverwastes and Dry Top content. Heart of Thorns, the first real expansion for the game, builds on that, with four new multi-level maps, a post-level progression, and new mechanics and specializations for classes. It expands well upon the game’s already solid design and provides an engaging and varied experience, if a bit short at the moment. The story picks up right after the end of the Living Story, the ongoing series of updates and events of the past three years, with the attack on the second Elder Dragon threatening the world, the plant-dragon Modremoth. This goes disastrously—the once-proud fleet that defeated the undead Zhaitan now lies in ruins, scattered across the jungle, with its heroes lost. You resume your role as the commander, venturing into the wilderness to recover your friends and find a means to defeat Modremoth before he spreads out of the jungle and into the rest of the world. The Verdant Brink, the first of the four maps, greets you with a cliff-side beckoning you to approach, overlooking a massive tangle of monstrous vines coiled around the burning remains of an airship. The valley below swarmed with dinosaurs as my Charr necromancer descended carefully, hefting his newly-acquired greatsword, before being swarmed by tiny raptors, taking chunks of his health as he cleaved through them. He had just cleared them in a vortex of darkness and death when a bus-sized saurian charged bellowing across the cliff and bowled him over, welcoming me to the new jungle. Combat experiences in the Magus Falls region are considerably more intense than in the original game areas—wyverns set fire to the entire landscape and leave patches of death that down you in seconds, hordes of overgrown plant-creatures hurl waves of poison upon you, and monstrous insects spew deadly acid as they swarm about you. The added difficulty is welcome, adding to a sense of overwhelming odds and facilitating the game’s amazing teamwork mechanics. Players in an area can all still get credit for the event, encouraging them to group up and coordinate, even if they don’t enter an actual party. The maps themselves are wonderful—the overgrown, looming cliffs of Verdant Brink, the golden city dominating the Auric Basin, and the hovering, hole-laden rocks crackling with magical energy of the Tangled Depths ley-line energy. They’re wonderful to explore, with hills and tunnels everywhere and multiple levels. I found myself wandering, getting lost on the way to my destination only to find something I’d never considered. Each area has a meta-event narrative, an objective for the players to accomplish, which all events feed into. In Verdant Brink, for example, one must spend the day rescuing and preparing various crash sites around the map before nightfall, which transforms the map into a frenzied defense against the vegetative Modrem, ending in a battle against a giant boss in the canopy above. The maps’ size and scale requires you make use of the game’s new mechanics. Players have gliders they can open in mid-air, allowing them to sail to distant areas. They control quite well, allowing you to manage your flight endurance and orient yourself rather easily, even with only the basic skill. I rarely had any trouble landing on even the smallest platforms, and gliding became so second nature to me that I would forget that it isn’t available in the old-world maps (resulting in some hilarious deaths). Many of the new features are tied to the new levelling system—the ‘Mastery’ mechanic. 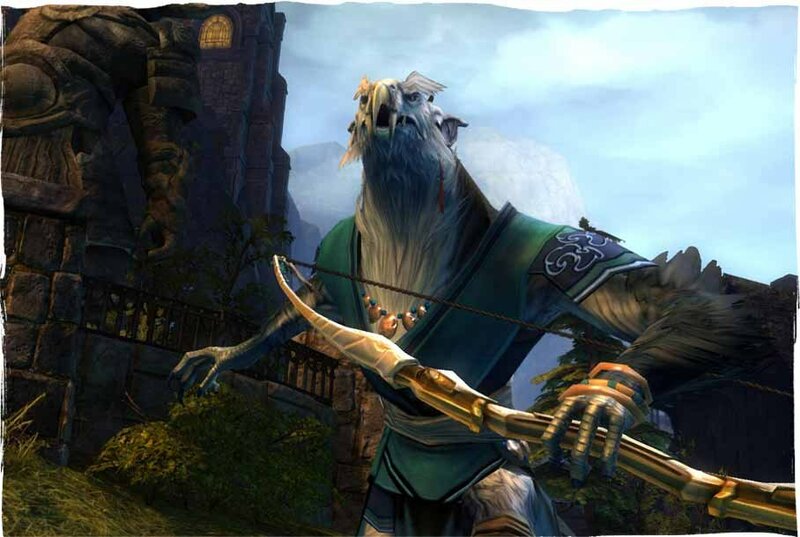 Characters who reach level 80 gain experience towards several new skills, unlocked by mastery points gained from certain achievements and from locating mastery markers around the map. These unlock various map features that allow you to further explore, such as mushrooms that allow you to bounce up to higher locations, or the languages of the local frog-like Itzel and other races. These are account-based, rather than for original characters—unlocking a skill allows future characters to benefit rather than having to grind out XP to level up basic gliding. Many areas are hidden behind streams of ley-lines or in areas only accessible with the benefit of these skills (poison clouds, for example, block off much of the final area unless you have the Mastery that renders you immune). There are also ‘Central Tyria’ Masteries, changing core mechanics that can only be levelled by doing old content from the core game. These areas still hold up under continued play—I’ve been levelling up one of the new class, the Revenant, and I’ve not been bored of the old areas quite yet. The elite specs change how the original classes play, and seem to be universally powerful, boosting their capacities in the process and adding a new weapon and set of skills. 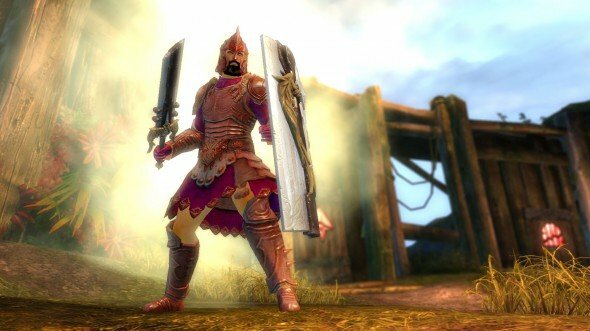 The Reaper, the necromancer specialization, is a joy to play, wading into battles and crushing others with the new greatsword and shout skills (quick-cast powers that affect the area around you). They will require more skill points to unlock—requiring seeking out hero points in the new content, which grant them in groups of ten. You can still play without them, but they are so potent that it’s a high priority. There’s only one per class so far, but the potential exists for more, granting further specialization and unique permutations of the class. The only entirely new class, the Revenant, is a neat concept, though its mechanics can be suspect. Possessed by the spirits of legendary heroes, they only possess the bare minimum of utility and healing skills, which change drastically based on which ‘stance’ you assume. These come with commentary from the hero in question, ranging from violent boasts from the Legendary Demon or battle cries from the Legendary Assassin. While this is a neat mechanic, it’s inherently limiting when other classes can pick and choose each utility individually, especially since you can only have two stances equipped at a time to switch between in combat. Given the need to be able to break stuns or mitigate conditions in pitched battles, your chosen loadout can leave you greatly lacking if you don’t pick the proper stance—more so than with other classes. 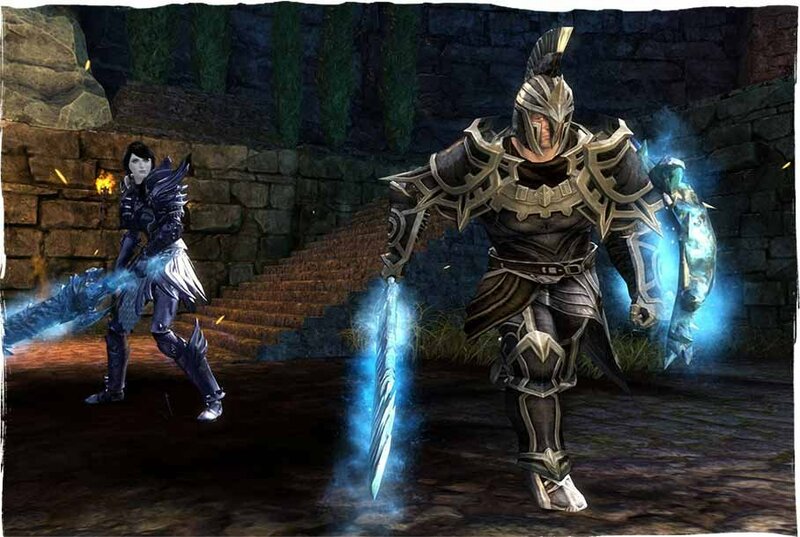 Revenants are fast-paced heroes, lacking in health but possessing many teleport-like skills, flipping around the battlefield to tear into opponents. It’s fun to play, though it could stand to benefit from many more stances—there is no shortage of heroes in the lore to allow, and it would help mitigate the limited utility due to the core mechanic. As of my current playing, there are still some noticeable bugs, not to mention a few promised features we are still waiting for. Raids (massive high-difficulty dungeons) are still not implemented at the time of writing, so I can’t comment on them. The new World-vs-World desert map seems to be interesting, though I’ve had little time with it. The new Masteries allow the construction of ‘precursors’ (specific items originally found by chance and required for the highest tier of weapons), though the new ones haven’t quite been implemented yet. There’s a rather tedious bug where you do not receive credit for fully completing the new maps if you’ve completed the entire old world exploration, but this should be fixed—it only serves to slow down collecting of specialization-specific weapons. Overall, there’s a lot of potential in these areas and a lot of ground to cover. Most people are still exploring the first two maps, with the latter two lacking the numbers or those with the skills to fully organize their grandiose events. When I went to Dragon Stand, the ultimate area, I never found enough people to activate the event chain, and I died when exploring due to clouds of poison that required a Mastery to ignore. We will definitely see more soon—there were two full seasons of new content before this release, and there’s a ton left to still explore. Even going back to the old content isn’t a pain, as it still holds up under scrutiny. The new areas, though, feel more alive—you’re part of a grand operation, with many smaller sub-objectives to complete in order to achieve victory. I am largely happy with this. 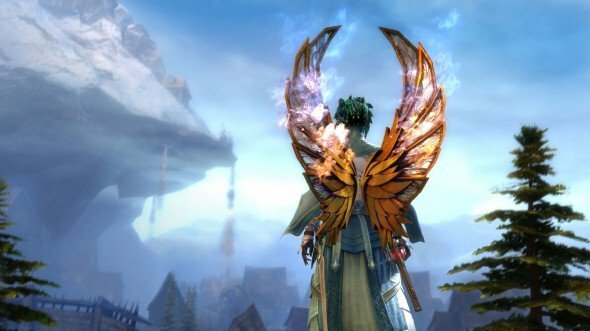 I will continue to keep an eye on this—MMORPGS are difficult to gauge early on, but ArenaNet has a good track record, and this remains, in my opinion, the strongest online game on the market. It’s only around $50 for the expansion, and even if you don’t want that, just download the original game for free. The content may entice you to spend more. Heart of Thorns, the first real expansion for the game, builds on that, with four new multi-level maps, a post-level progression, and new mechanics and specializations for classes.